Vio Foam - Foam Cup or Paper? Quick! Which is more eco-friendly: paper or foam? The answer may surprise you ... or at least confuse you. But don’t worry. We’re here to help you sort through your overflowing options so you can choose the one that’s best for you. Most people assume that paper is always the most eco-friendly option, but it turns out that there’s more to being “green” than just using plant-based materials. In fact, a comprehensive 2006 study carried out in the Netherlands, which directly compared paper, foam and ceramic cups across ten environmental parameters, found that paper was more eco-friendly in five of the categories studied, while foam was more eco-friendly in the other five. And even your endlessly reusable trusty ceramic mug has an impact—it all depends on how it was made and how you wash it. When it comes to water, EPS foam comes out on top. It actually takes more water to produce paper cups with sleeves. EPS foam cups are made from petroleum and natural gas byproducts, while paper cups are made from trees. However, most of them are coated with polyethylene, which comes from fossil fuels. It takes less energy to produce foam cups than paper cups. It depends on what you’re comparing. Less greenhouse gas is created in the manufacture of paper cups than foam, until you throw in the paper sleeve that keeps you from burning your fingertips on your coffee, in which case, it’s more. Do you think only uncoated paper is fit for the recycling bin? Actually, both foam cups and paper cups coated with polyethylene are recyclable—as long as you find a facility that accepts them. As far as aesthetics—nearly any image in any color can be printed on both foam and paper, which means that your cups not only look attractive, but also work for you in a subtle, but effective way. Who couldn’t use an extra little bit of portable branding? 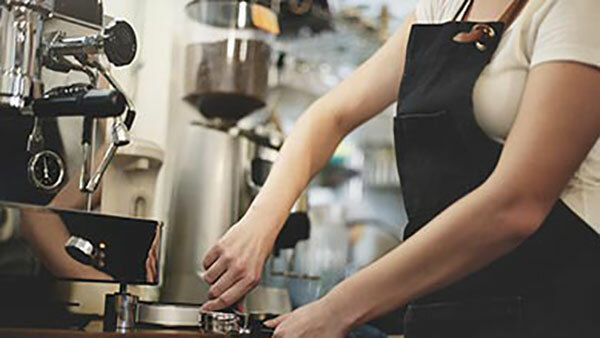 Keep in mind that EPS foam is a better insulator than coated paper cups—and it’s nice to pick up a cup that doesn’t require a sleeve. (It’s also nice when your coffee stays hot until the very last minute of your commute!) If you serve both hot and cold beverages, save space in your back room by replacing the cases of hot and cold cups with just foam cups—they’re ideal at any temperature. To increase the environmental (and budget) friendliness of whatever you choose, encourage your customers to reuse their to-go cup, maybe by offering discounted refills. And take the time to review product specifics with your supplier. There are new, better options being created all of the time. We’ll raise a glass to that!